Rob Zombie movies have always divided critics and the audience between who loves them and who thinks they are just crap; whatever side are you on, his work as a director never goes unnoticed. A filmmaker with a unique vision, Zombie has continuously challenged audiences as he stretches the boundaries of both music and film. 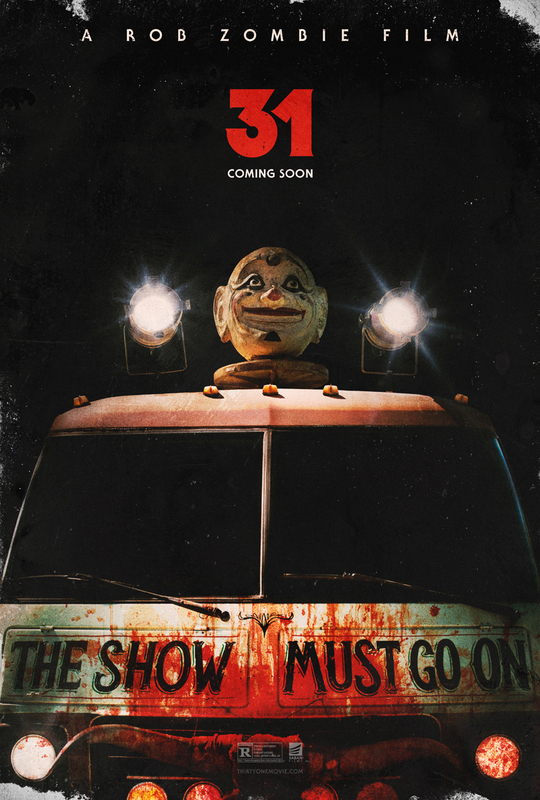 His most recent film, the crowd-funded 31, was a return to the basics of crude and repulsive horror/schlock cinema, a fan-friendly rebound after the psychedelic and experimental The Lords of Salem that left so many disappointed. It was, as expected, controversial (read our review here). We met with Zombie at the 2016 Sitges Film Festival, right on the cusp of 31‘s release and this marks the first time this chat has seen print. digital or otherwise. Enjoy! ComingSoon.net: In your movies there are always psychopathic characters, which are crazy to the point that seem almost not from this world, where does this kind of fixation come from? Rob Zombie: I always liked the most films with great villains and it feels like they started disappearing over the years. I love the monsters, I love Frankenstein, Dracula, King Kong, then there was Freddy Krueger, Michael Myers and Jason Voorhees and now there’s no monsters, there’s no bad guys, it’s always like there’s a ghost or something like that. I always wanted to have a character that you can remember, as Captain Spaulding or Doom-Head, I just think that’s important for this type of movie. For me, that’s what I always liked about the movies, I like the bad characters, like in James Bond: I liked Goldfinger, not James Bond. CS: Your most recent movie, 31… why did you have to recourse to crowdfunding to finance this movie? Is it difficult today to have a film produced even for a filmmaker like you? Rob Zombie: Well, financing a movie is always a problem for everybody, it’s not just me, I always thought it was just me and then I’ve been reading interviews with just anybody with the same problem. George Romero or Martin Scorsese, these guys had problems too, everybody has problems. Getting movies made is a f*cking nightmare, especially when you want to make things that are not mainstream. If you want to make a horror movie that is easy to finance, I guess it would have to be “PG-13,” it would have to be for everybody and that’s not what I am really interested in doing so, every time I go to make a movie it’s a battle, it’s always a different battle, but it’s always a battle, because you try to get somebody to give you millions of dollars to make this crazy thing so, it’s not easy. This was the first time for me to try this new way to finance a movie and it did work out really good. I used the money that I raised for editing, music and things at the end of post-production. These days it’s really hard to get appropriate funding for certain type of movies, films that I made in the past, like The Devil’s Rejects, would be impossible to get a studio to put that amount of money to make that movie now, therefore crowdfunding sort of became the necessary thing to do. CS: Watching your movies it seems that you had a lot of influences from European and Italian filmmakers: Lucio Fulci in House of 1000 Corpses or Mario Bava in The Lords of Salem. Can you elaborate about it? Rob Zombie: Sure, especially with The Lords of Salem I felt there was a lot of European influences, a lot of Argento, in the sense that for me, sometimes when you’re watching Argento movies I’m loving it and sometimes I don’t even know what the f*ck it’s going on, like it’s not making any sense to me, like Suspiria, I love it and it just feels weird. It’s more about the feeling and the pacing, because American movies are paced a certain way, they are very fast, they are very worried that someone is going to get bored and walk out of the theater, but I found European movies are a little more patient, things can take longer to happen and that’s why, not 31 so much, but The Lords of Salem was a little more European. When it came out, American audiences didn’t seem to understand it, but when we went to Italy and France and Germany, everybody loved it, it wasn’t confusing outside of America. It’s very strange. I’ve also been influenced by ’70s movies like Faster Pussycat Kill Kill, Ilsa: She Wolf of the SS or Dawn of the Dead, so that’s the type of aesthetic that I developed over the years. I don’t really try to make films that I think will make everybody happy, some people love them and some people don’t, and that’s good. CS: As a filmmaker, are you interested in other genres other than horror? Rob Zombie: Yes, the next movie I’m making actually is about Groucho Marx, it is not a biography but it’s about the last three years of his life. I bought the rights to this book called “Raised Eyebrows,” written by Steve Stoliar, and it’s the story of this college student who became his assistant for the last three years of his life, at that point Groucho was in his eighties and had some strokes and he had this woman who did take care of him, who was abusing him and drugging him and stealing his money. So it’s not like my other movies, it’s a sad movie, but it’s kind of like part Ed Wood part Sunset Boulevard. That’s the next project I’m working on. CS: Being a director and also a musician, how do you approach writing the music for your pictures? Rob Zombie: The music is very important, on my last two movies, for the score I’ve been working with John 5, who is the guitar player in my band, and it’s been so much easier, because in the past, when I’ve been working with composers, we were getting a hard time getting in synch, but with John he gets the idea that a simple score that you can remember is the best. That’s why I would always reference that I love the John Carpenter scores, because they are very simple and easy to remember, they are almost like songs. You know, most of time I walk out of a movie I can’t remember any of the music, I remember nothing, but certain films, like Suspiria, which is one that had great music, or The Exorcist or Psycho, all have simple tunes that I love. Therefore, it’s hard to achieve that, that’s always the goal, even if you can find one simple thing that people can remember, it’s not always appreciated by the audience. I hope that we did it. CS: 31 in some parts it looks as if you had to do some cuts, did you have to fight against censorship? Rob Zombie: Well, every time a movie is finished, you have to go to the MPAA because it’s always in my contract that you have to deliver an R-rated movie, because no theater in America wants to show an unrated movie or NC-17, so that’s always the trickiest thing, but what is kind of weird is that there are not real rules, therefore the notes you get back are very strange and sometimes it’s really hard, when you have to cut out some violent scenes, then they are not as effective as they would have been as you intended to be. It’s really bad, especially since sometimes I noticed that those rules don’t apply on television, you can actually put more violent things on HBO than you can put in a R-rated movie, so it’s kind of an outdated system that drives you crazy, but that’s the way it works. CS: You seem to be fascinated by clowns, they are in almost all your films, why? Rob Zombie: Why not, everybody loves clowns, everybody hates clowns, it’s a universal thing. Actually when I was a kid my parents for a while, until about 1978, did work in a circus for a living, so I’ve grown up around that. Most of the characters, especially in 31, are sort of based on people that I remember, even some of the names I stole from people that I met when I was a kid and the things they are talking about, like Malcolm McDowell in 31 about the “Barnum Circus,” are things that actually I remember. There’s one character obsessed with the idea of a show where a girl turns into a gorilla, well that was a real thing and I remember seeing that when I was a little kid, with this girl coming out with a bikini, getting into a cage and then with some light effects the gorilla would be in the cage, a fake gorilla obviously and I thought it was terrifying. So these are all things that are from my real life, unfortunately these are the people that I remember. CS: Some people loved it and some people didn’t like it, are you worried about the audience judgments? Rob Zombie: No, I never worry about that, because I think part of the public is not going to like anything, I don’t know how you can make something that everybody loves, it seems impossible so I don’t mind. Therefore I just make it, some people is going to love it, some people is going to hate it and that is just fine, that’s all that you can do. CS: You have many loyal fans, both as a musician and as a filmmaker, do you try to fill your audience expectations when working on a new project? 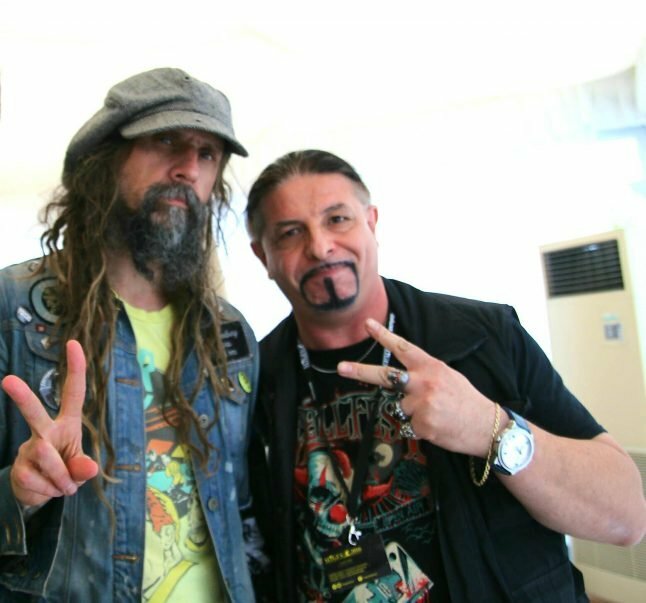 Rob Zombie: Well, I just try to deliver things that I like, first. That’s all I really worry about, because if I don’t like it then it’s fake, I make stuff that I like and if they like it too it’s great, that’s all I can do. I hope they like it, but I don’t ever try to make things for that reason, then it’s fake. CS: What do you think are the things that connect Heavy Metal and Horror movies? Rob Zombie: I see that heavy metal and horror movies are sharing the same audience and the same fate, both the films and the music are very, very popular, but the companies that put out the music and the films don’t take it seriously, although they have millions of bands and they are making a lot of money, they are trying to hide them. And movie studios push aside the horror films as record labels push aside metal acts, even though they make all the money with them. I like thirties horror monsters, as Frankenstein and King Kong, I have transposed them on my live stage set, with massive portraits of the Wolfman, Dr. Jekyll, the Frankenstein’s Monster, King Kong and the Phantom of the Opera displayed on the back of my band. Rock and metal music have always been influenced by horror movies and their thematics, blood, violent imagery, skulls and monsters have been used on the covers of bands inspired by the Cinema of Terror. CS: All of your films you seem to side for the bad characters, why? Rob Zombie: I don’t know what goes to my head, it’s just the way I see life, I come up with these things and characters and I think that’s the way it should be, that’s why there’s not really good characters in the movie, there are just bad characters and worse characters. I guess I have severe mental problems. What are the differences between your female character in this and in your previous movie?